The marinara I roasted in my previous post yielded about 1 1/2 quarts of sauce. I work 10 hour days, so when I get home, I am usually too pooped to pop. I like to have items prepped which can easily be assembled for a quick dinner. Everybody loves pizza, and since I had the marinara, I decided to to go for it. 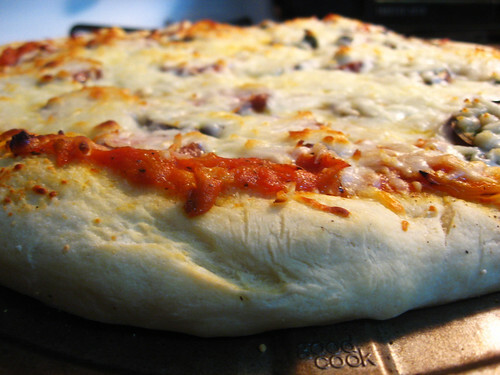 I know making pizza from scratch with a yeast dough DOES NOT sound quick, but here’s a quick shortcut which will get you from scratch to pizza-in-mouth in only 90 minutes which only 30 minutes of actual work. I was able to quickly whip together some pizza dough. 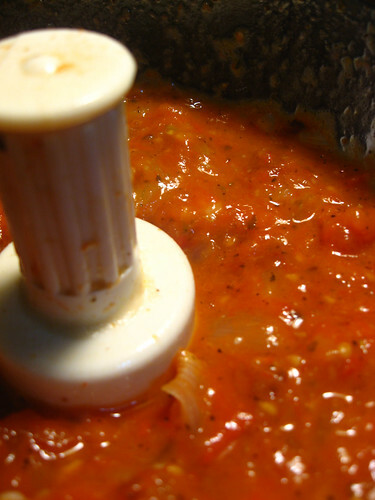 A Quick TIMESAVER: Preheat your oven 200 degrees while you are mixing together your dough. When you dough is done, turn the oven off and place your kneaded dough resting inside an oiled bowl into the warm oven. This will expedite the rising of your dough. Check dough in 30 minutes, and it should be good to go. 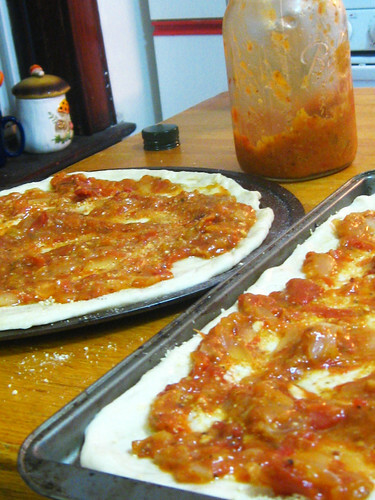 I rubbed the rolled out dough with olive oil and chopped garlic and covered with my marinara. I layered some sliced kielbasa we had in the fridge, sprinkled it with some pickled capers, and covered the pizzas generously with pre-shredded mozzarella cheese. 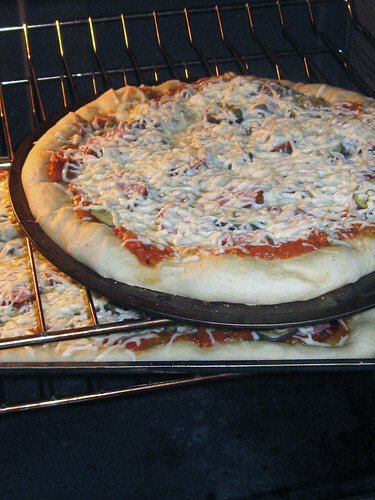 The pizzas went into the preheated 400 degree oven for 20 minutes or until golden and crispy. Bam, dinner was done! Delicious!! 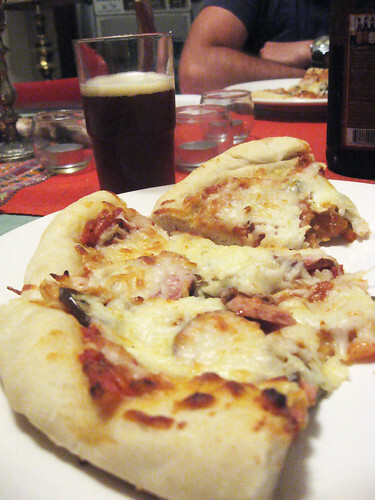 That beer/pizza photo looks soooo good!